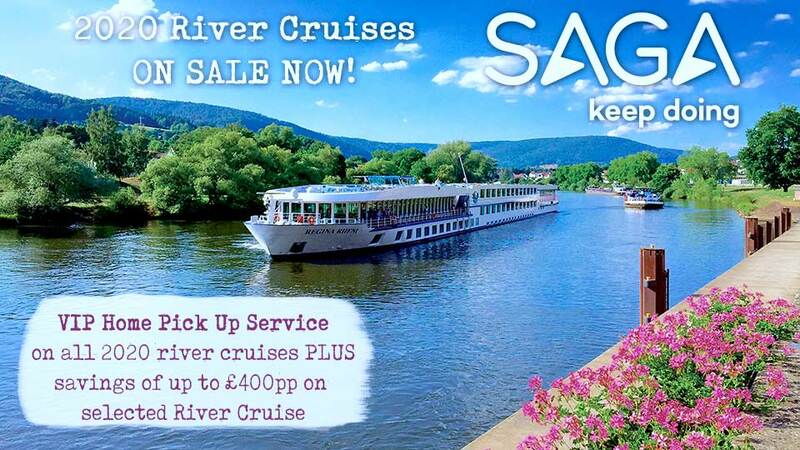 Tauck's Christmas Market river cruises along the Danube from Vienna to Nürnberg aboard ms Joy or ms Savor offer a new approach to discovering the magic of this 700-year holiday tradition! Enjoy Tauck's signature sightseeing and exclusive events... gain insights from the personal experiences of your local guides as they recall the Christmas Markets of their childhoods... and celebrate the holidays with special yuletide events on the ship and off! Aboard your riverboat, decorated in holiday style, you can sample glühwein and other seasonal goodies. Attend a holiday baking demonstration... a festive European Christmas dinner with all the fixings… and live onboard musical performances. Watch delectable gingerbread being made at Café Simon in Passau... explore the Baroque architecture of 900-year-old Melk Abbey... enjoy Old Town Nürnberg in all its holiday finery… have lunch at Stiftskeller St. Peter in Salzburg and at Palais Pallavicini in Vienna, and take a tour of the Thurn und Taxis family's Palace of St. Emmeram in Regensburg, with a visit to its private Christmas Market and more! Your Austria and Germany Christmas Markets river cruise along the Danube begins: 4:00 PM, Vienna, Austria. A transfer is included from Vienna International Airport to ms Savor or ms Joy. Guests enjoying a pre-stay in Vienna will receive a transfer from Tauck's hotel to the riverboat. Welcome to old Vienna… bright with decorations and buzzing with holiday spirit; exploring on your own at the city's largest yuletide market, you may feel like you've stepped into a snow globe as you're surrounded by thousands of twinkling lights! Return to the riverboat for the captain's welcome reception followed by dinner early this evening… then followed by a visit to Vienna's Christmas Markets, illuminated at night. “Imperial” Vienna, which you’ll explore on a sightseeing tour along the Ringstrasse this morning, seems even grander with Christmas decorations everywhere you look. Get a glimpse of what “happy Habsburg family holidays” might have been like on a tour of Schönbrunn Palace, and take in the palace’s own Christmas Market. Enjoy a Christmas lunch at the Palais Pallavicini, a private Baroque palace dating back to the 18th century. 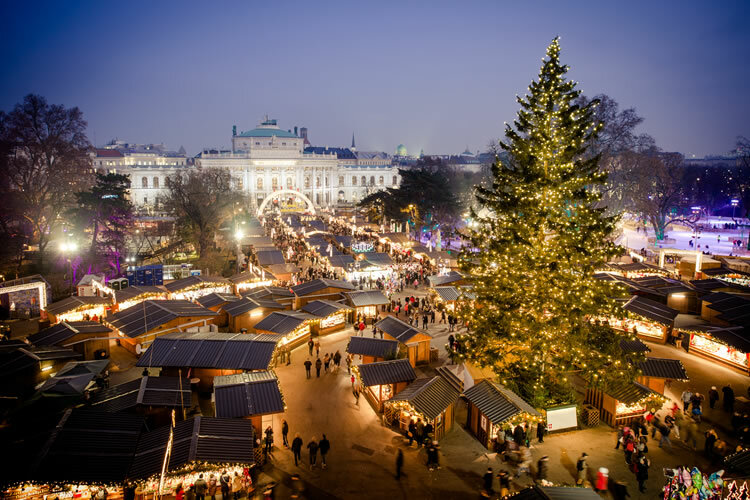 Then spend an afternoon at leisure to sample more of Vienna’s holiday cheer and Christmas Markets; complimentary shuttles run back and forth between the city and the riverboat. Tonight, your riverboat sets off on its 7-night Danube cruise, bound first for Melk; after dinner, you're invited to help trim the ship's Christmas tree and enjoy some seasonal treats. 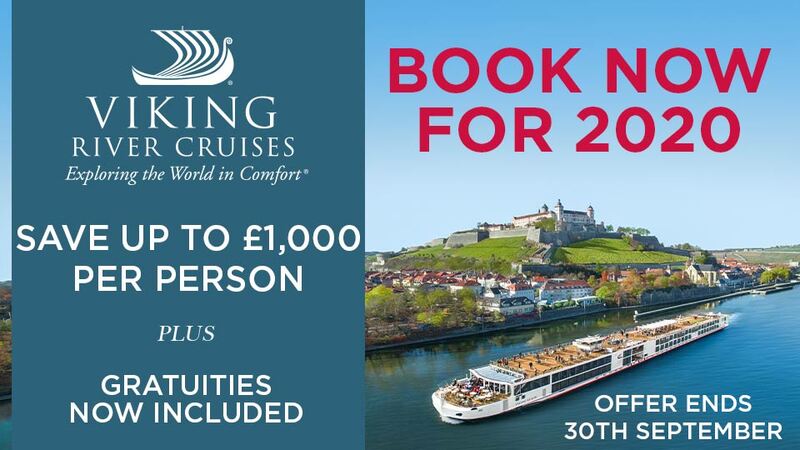 Cruising to Austria and Germany Christmas Markets along the Danube offers a completely different experience than similar cruises in spring, summer and autumn! This morning, visit Melk Abbey high atop its bluff overlooking the Danube, where this bastion of culture has stood for nearly a millennium – and its 18th-century Baroque church, monastery and library take on a special quality during the holiday season. Learn about traditional holiday treats like stollen or glühwein as the riverboat continues cruising the Danube from Melk this afternoon, arriving this evening in Linz. After dinner, enjoy an onboard classical music performance by Donau Klang. Wake up in Linz, Austria, for a full-day excursion to Mozart’s magical hometown of Salzburg, with its Baroque town center dressed in its holiday best. After exploring the Christkindlmarkt in this charming city, have lunch at Stiftskeller St. Peter, one of Europe’s oldest restaurants, located on the premises of historic St. Peter’s Abbey. Following some free time, return to Linz for a different Christmas Market experience… and, as you’ve learned, each town’s market has something all its own to offer. Or, if you prefer, spend the entire day in Linz, enjoying its Christmas Market, exploring as you please, or alternatively just relaxing aboard the riverboat in anticipation of a busy day tomorrow at the first German Christmas Markets you'll visit. The holiday celebrations of Passau, Germany are spotlighted today on a walking tour of this riverside Bavarian town known for its plentiful churches, exquisite stained glass, famous cathedral organ and well-preserved Baroque architecture... plus time exploring its Christmas Markets, of course! Baking gingerbread… it’s one of the best aromas of Christmas! Four generations of the Simon family have perfected the art of making gingerbread, and show you how it’s done during a demonstration at Passau’s Café Simon. After touring Passau’s Weihnachtsmarkt, the afternoon is yours to explore as you please. Join us for a discovery briefing before dinner aboard ship this evening. You’ll understand why Regensburg calls itself “Europe’s best-preserved medieval city” on a walking tour of its Christmas Market, set among centuries-old buildings, and time to explore as you please. A visit to the Thurn und Taxis family’s Palace of St. Emmeram invites you to tour the palace, browse its fine private Christmas Market, and interact with artisans displaying their wares; rumor has it that Her Highness Princess Gloria and family often wander through! After your riverboat docks, take a shore excursion to historic Nuremberg, where sightseeing choices include medieval Nuremberg with its centuries-old ramparts and defensive walls, the old city and marketplace, and a museum in the home of 16th-century painter Albrecht Dürer dedicated to his work – as well as city sites associated with World War II and its aftermath, including the Zeppelinfeld rally grounds, and the Documentation Center museum. Spend time enjoying Nuremberg's famous Weihnachtsmarkt as you please, then join us back aboard the riverboat in Nürnberg to cap your extraordinary Christmas Market cruise with the Captain’s farewell reception followed by dinner tonight. Your cruise ends in Nuremberg. Fly home anytime. Transfers are provided from ms Savor or ms Joy to Nuremberg Airport; those guests enjoying a post-stay at in Nuremberg will receive a transfer from Tauck's hotel to the airport. Please allow at least three hours for airport check-in formalities. Your river cruise to the Austria and Germany Christmas Markets will be an indelible memory you'll cherish throughout the remainder of the holiday season!